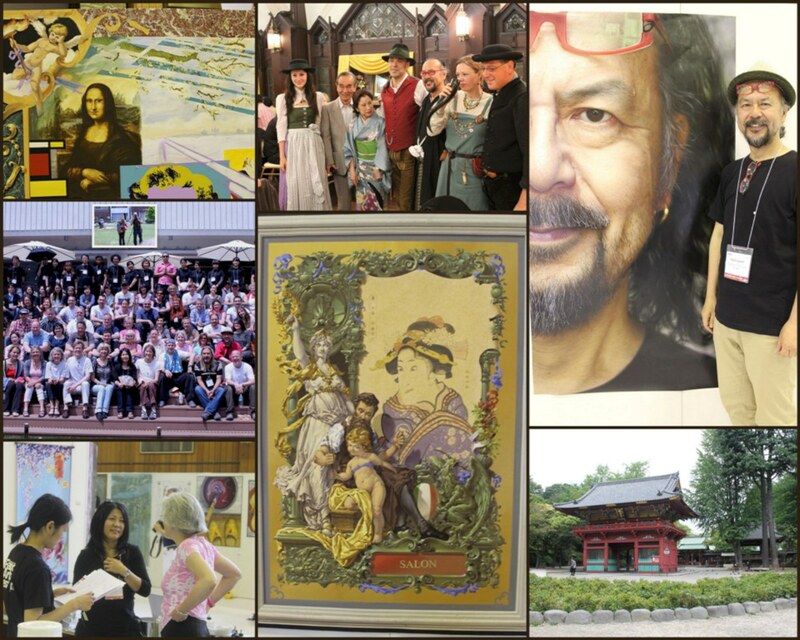 The annual meeting of international decorative painters was held in Tokyo at the end of May. This marked the first time this event was held in the Far East. Many decorative specialists, architects and designers visisted the Salon, and were pleasantly surprised by the diversity and cultural influences collected in the exhibition “West meets East: Sharing”. 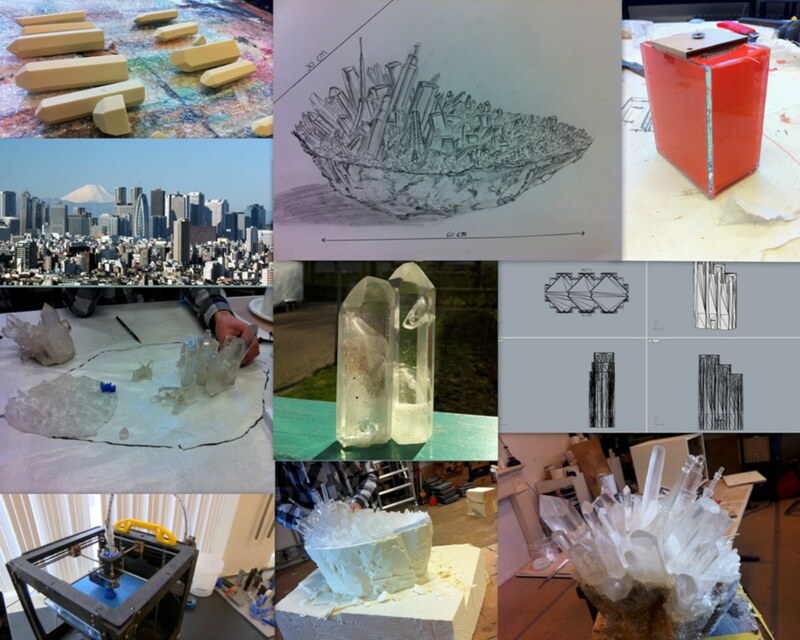 Verkerke spent a year working on a 3-D crystal immitation: “Tokyo Crystal”, because he found a challenge in two-component plastics, that can be cast in moulds. The moulds were developed together with Menno van den Berg, using 3-D prints. The result was astonishing and appealed greatly to the Japanese, with the skyline of present-day Tokyo in crystal emerging from a geode. By this means, he enters the region between decorator and artist. During the Salon, he worked on his panel, where a drawing of a peacock is folded into a crane.